Technically the political boundary of Guanacaste Province extends south on the Nicoya peninsula to the Río Bongo near Manzanillo but there’s a distinct change of character once you pass the Hacienda Pinilla golf course at the JW Marriott resort south of Tamarindo. The pavement ends, bridges are replaced by fords on the rivers, resorts give way to isolated hideaways, and the communities retain more of their fishing village character. 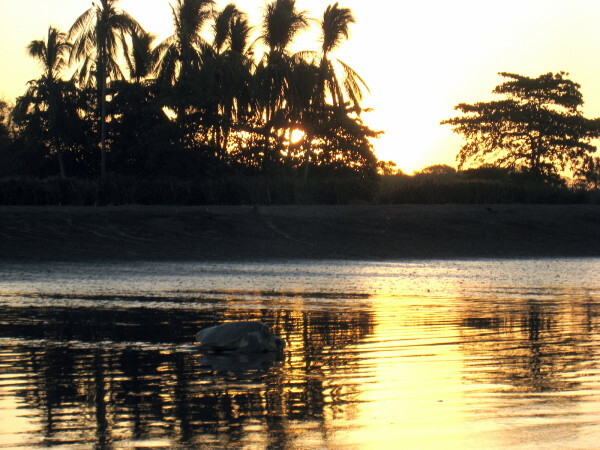 We consider the Nicoya Peninsula region unique unto itself. 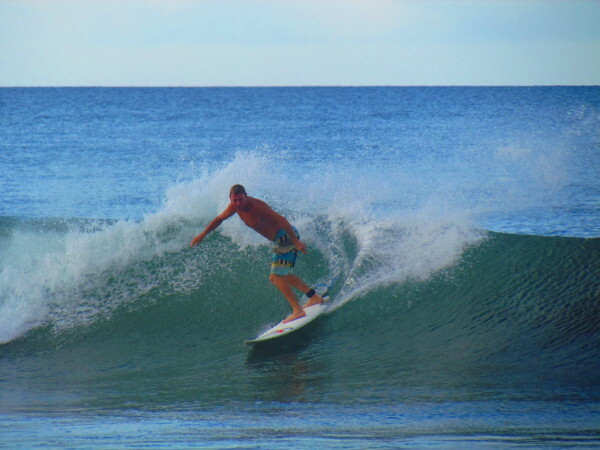 There’s a wave for everyone along the Nicoya Peninsula. Surf schools in Nosara, Sámara, Santa Teresa and Mal País specialize in getting beginners on their feet and somehow learning is just a lot easier in these ideal settings. Advance surfers frequently take multi-day safaris, renting a 4WD and making their way slowly up or down the coast trying a beach or two per day and waking up on a different playa every morning. If you’ve ever wished you could just lose track of what day of the week it is this is the place to give it a try. Most of the fishing villages still have more fishermen than expat surfers and places like Playas Coyote and Bejuco have a restaurant, a bar, a total of a dozen hotel rooms and miles of sand and surf. If you venture inland even a few kilometers from the beach you’ll find small towns that have been even less impacted by tourism and the traditional ranching and farming lifestyle prevails. Even in the tourist hotspots of Santa Teresa and Montezuma on opposite sides of Cabo Blanco at the tip of the peninsula you’ll find a funkier laid back kind of destination where visitors are more interested in how big the waves are or where the trail to the waterfall starts than how fancy the dinner buffet is or whether the room is air conditioned or not. Two of the best places in the world to see turtles nesting are are along the Pacific coast of the Nicoya – Playas Ostional and Camaronal. Both are designated as wildlife refuges and almost any night from June through March Olive Ridley Sea Turtles (Scientific name – Lepidochelys olivacea, Spanish – Lora, Carpintera) will be onshore nesting. Around the last quarter of the moon to the new moon there’s a good chance for an Arribada when thousands of turtles arrive on Ostional beach at once. The coast road runs the length of the peninsula but just because you see it on the map doesn’t mean you can drive it. It’s not bad as Costa Rican roads go but it crosses a number of rivers without the benefit of bridges so when the water is up you either wait or go around (a 2-5 hour detour). In the rainy season you should not expect to be able to drive this road. More information on what not to expect on the Nicoya peninsula.